WHAT IS MEDICAL LOSS RATIO FRAUD? Medical Loss Ratio (MLR) is a financial measurement set by the Affordable Care Act (ACA) to encourage health plans to provide quality care to enrollees. Medical Loss Ratio fraud occurs when false information about profits or medical costs is reported to the government. Whistleblowers are essential to detecting and preventing this type of fraud, and ultimately protecting and bringing justice to the health care system. Insurance companies collect premiums from policyholders to pay for a policyholder’s health care coverage as well as overhead costs. But the ACA requires that most health insurance providers spend at least 80% or 85% of premium income on medical care and improving services, leaving the remaining 20% or 15% for administrative costs. For example, if an insurer spends 80 cents of every policy holder’s premium dollar on medical claims and improving the quality of care, then the company has a medical loss ratio of 80%. The remaining 20 cents of each premium dollar can then be spent on overhead expenses like marketing, salaries and administrative costs. A typical healthcare insurance transaction involves a patient receiving care and the payer, or an insurance company, paying a fixed fee for that service. This prevalent form of healthcare payment is known as a “fee-for-service” model. However, managed care fixed fee is another payment structure that is gaining prevalence in Medicare and Medicaid systems. Unlike the traditional arrangement, Medicare and Medicaid partner with and pay managed care organizations to provide healthcare services. Medicare or Medicaid pays an organization a fixed fee (set based on demographic and health information about that patient) that acts as an insurance premium for each enrolled policyholder. To a managed care organization that depends on the government for a substantial part of their revenue, any of these consequences are disastrous for their bottom line. 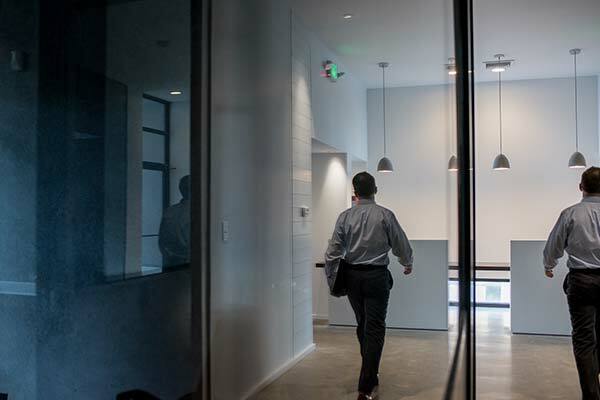 Managed care organizations, driven by their need to continue to receive government money, may engage in MLR fraud to avoid these consequences and keep money that they cannot legally keep. MLR fraud is complicated and, by definition, highly concealed conduct. It is difficult for the government to dive into the minutia, mountainous paperwork, and transactions that managed care organizations deal in and use to defraud the government. This is why whistleblowers are essential to detecting and reporting MLR fraud—they can help protect and bring justice to the health care system. A whistleblower lawyer has the knowledge and ability to navigate the complexities of legal and health care system. Managed care organizations that are paid through Medicare or Medicaid do so in accordance to an agreement with the federal government. This means that they are subject to the False Claims Act (FCA). When a managed care organization commits MLR fraud, it makes a false claim for payment because it did not have the legal MLR that entitles it to the funds. The FCA allows a whistleblower to file suit on behalf of the government to recoup funds spent on fraudulent claims for payment. When whistleblowers file these suits, they do so under seal, making them confidential. The FCA also provides employment protection for whistleblowers. This means they cannot be fired or disciplined for filing an FCA case. Additionally, the FCA entitles a whistleblower to an award in the case of a successful recovery for the government. This amount can range between 10% and 30% of the total recovered plus costs and fees depending on the information given and the role of the government in the litigation. These awards can be significant in Medical Loss fraud cases. For example, a managed care organization agreed to pay the government $137.5 million to settle allegations that it inflated medical care spending to maintain an acceptable MLR. The whistleblowers in that case received more than $25 million as their award. Cases under the FCA are some of the most procedurally complicated in our civil justice system. MLR fraud liability under the FCA is continually evolving, which is why an experienced and knowledgeable legal representation is key in MLR cases. A well-intentioned whistleblower unaware of their rights can easily get lost in the complication of a lawsuit. 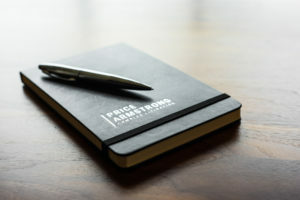 The attorneys at Price Armstrong have experience in representing whistleblowers and have successfully pursued several FCA claims. If you have knowledge of MLR fraud, contact a MLR whistleblower attorney at Price Armstrong for a no-cost, no-obligation consultation. If you have evidence of medical loss ratio fraud, contact the attorneys at Price Armstrong. We can help you seek justice and protect your rights throughout the process. Call us today at (205) 208-9588 for a free initial consultation and review of your case. Let us fight for you – call now!